First of all, I can’t think of a better time to visit Louisiana than in the fall. The intense heat of summer has subsided, but it’s still warm enough to wander the streets sans jacket and eat an al fresco meal under some Spanish moss. Also, those Louisiana sunsets are as spectacular as ever. Lake Charles, a historic waterfront town that once held a special allure for pirates and privateers, located 30 miles from the Gulf of Mexico, is especially charming. While the kind folks behind the Lake Charles/Southwest Louisiana Convention & Visitors Bureau took care of every last detail while we were there, you too can recreate this entire experience! In fact, I highly suggest it! To kick off our visit, we were treated to a horse-drawn carriage ride from the Lakefront Promenade through the Charpentier Historic District, known for its Victorian architecture dating back to the late 1800s. All the while getting spooked with ghost stories about the town care of our very knowledgable tour guide, author and historian Adley Cormier. It WAS nearly Halloween, after all! We were then treated to my favorite meal of the trip, at one of Lake Charles’ newest restaurants, Restaurant Calla. Chef David Sorrells, formerly with The French Laundry, and his team source all local ingredients for seasonal small dishes in a farm to table style that highlights the region’s specialties. The specialty cocktail for the night was a play on the Halloween season, “REDЯUM”, with Bayou Select, Benedictine, honey, lemon juice, mint leaves, and El Guapo Polynesian Kiss Bitters. Did I mention those Louisiana sunsets? The next day, our ragtag group of journalists and bloggers got down to business and visited Louisiana Spirits in Lacassine, Louisiana, for a tour and tasting. This is the distillery that produces what locals like to call “The Spirit of Louisiana”, and why we were all there: Bayou Rum! Louisiana Spirits was founded in 2011 by brothers Tim and Trey Litel and their longtime friend and business partner, Skip Cortese. In July, 2013, they launched Bayou Rum, and it quickly became Louisiana’s best-selling craft rum brand in the state. At +36,000 square feet (including the visitor center and gift shop) Louisiana Spirits is the largest private label rum distillery in the U.S.
Louisiana has a long history of producing cane sugar dating back to the 1700s when early Jesuits grew it for their own form of rum which the French called “tafia.” But through the years and due to the Civil War, Prohibition and the Great Depression, rum distillation in the region completely died out. Louisiana Spirits wanted to bring back the tradition of local rum production while sourcing 100% of their sugarcane from the state. Using Louisiana cane sugar and molasses, Bayou Rum distills in traditional copper pot stills. Our tour guide was co-owner, Skip Cortese who gave us a peek into the production process of Bayou Rum and all the work that goes into bringing this spirit to market. It’s always fascinating to see the inner workings of a distillery, especially those that distill, bottle, label, box and age all under one roof! You know what the best part of a distillery tour is? The tasting! All of that walking around sweet-smelling rum and handling unopened bottles of booze can make a gal thirsty! Luckily we had some knowledgable fellows to relieve us of our thirst! Our tasting was led by Master Distiller, Jeff Murphy and Master Blender, Reiniel Vicente Diaz. We tasted all of the Bayou Rum expressions – Silver, Spiced, Select and a special liqueur made from local citrus, Satsuma. Having tried them all on their own and in various cocktails, I found the Silver to be the most versatile in cocktails, but the Spiced was surprisingly good in a simple highball with soda. The Select is their higher end release and works well in a rum Old Fashioned. One of their best sellers is their Satsuma Liqueur, to be drunk on its own or (how I preferred), used as a modifier in a cocktail. Oh, and did I mention we got to hang out with a baby alligator named Gumbeaux?! Uh, yeah. And I’m not posting any pics of me and him because I was not the most gracious of alligator handlers (I freaked out more than an adult woman should). But I fell in love with him in the end! Our Louisiana adventures didn’t end there! After a lunch of Crawfish Jambalaya, Fried Catfish and Green beans with red potatoes…we were off to the next spot! You can’t say that you’ve done Louisiana until you’ve had a proper swamp tour and we were led by the best – Grosse Savanne Eco-Tours. We saw so many ‘gators over the course of our mini boat ride, that I actually started to feel somewhat comfortable around them! After cozying up to the ‘gators, we hit the bling-iest place in town, the Mardi Gras Museum, which houses the largest costume display in the world! It’s truly spectacular.There may or may not be some creepy animatronic action in there. Again, a perfect place to visit around Halloween. This epic day was, of course, topped off with another fabulous dinner and cocktails at The Country Club at Golden Nugget – the fabulous gargantuan casino/hotel we stayed at while we were in Lake Charles. My hotel room had a view of the Vegas style pool and what I assumed was THE Lake Charles, AND had a soaking tub in the middle of the suite. ’nuff said. We got so much in during those few days we were there and I would totally do it all over again. Louisiana has fast become one of my favorite places to visit and Cajun Country is at the top of my list. Luckily, if you live in the states, you don’t need to be in Louisiana to get Bayou Rum. 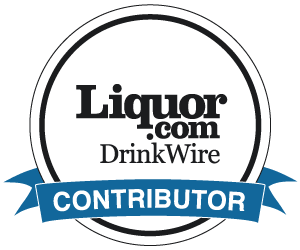 Since Louisiana Spirit signed a national distribution deal with Stoli Group USA you can find their cajun kissed rum near you! That was the Bayou Rum Cosmo! Pretty yummy!